THF is a 501(c)(3) non-profit, charitable organization located in the metropolitan Washington, DC area. The Foundation conducts activities nationwide working with diverse and underrepresented college students, as well as colleges, universities and media companies to promote the value and benefits of diversity. In the 1990s, television, satellite, and cable were fast becoming an entertainment utopia for subscribers and viewers. New networking and technologies were being developed and launched at an unprecedented pace, targeting and reaching new, diverse audiences. 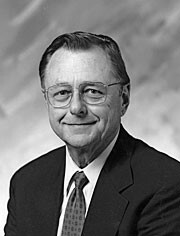 THF was named for H. Taylor Howard, an American scientist, radio engineer, Stanford University professor, visionary, and inventor of the technology used today by the cable, satellite and telecommunications industries. His career spanned 50 years, and Howard’s involvement in the development of television transmission technology in the ’60s and ’70s revolutionized the wide television distribution capabilities that we enjoy today. He believed that the very technology he helped to create would one day be instrumental in uniting people from around the world.